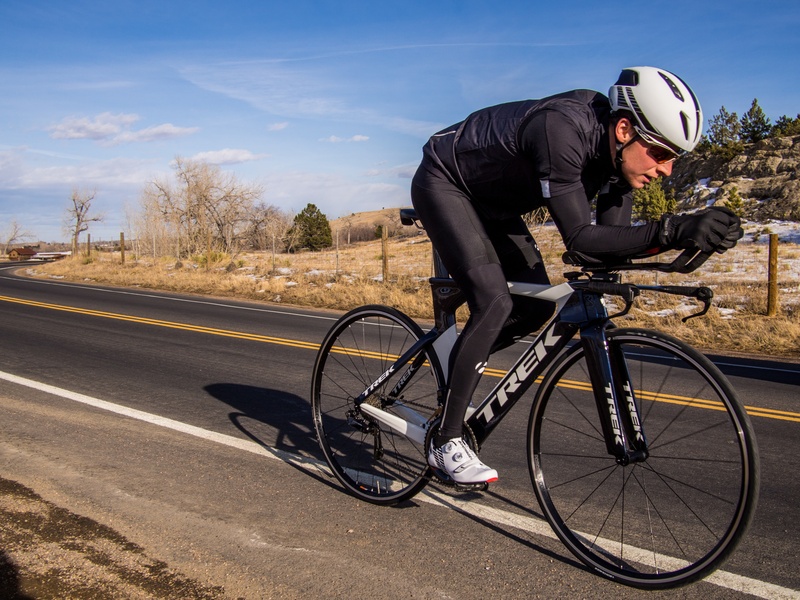 Marcus Robinson has invented a new racking system that is leading to fast triathlon transitions and even more opportunities for triathlon sponsorships. After meeting Marcus at the TBI Conference in Tempe, Arizona last fall and then running into him again at the Monticello man triathlon a couple weeks ago, we had to get him on the show. Anybody who raced at Monticello man, myself included, may have been surprised to receive a customized name plate and see a new transition area when they arrived to the race. Turns out, Marcus is behind all of that. Graduating with a degree in Finance from Fordham University and then working in finance for 20 years really didn't prepare Marcus for the new path his life took after his "mid-life crisis". In 2013, Marcus realized that, while finance was enjoyable, he wanted a new challenge to take on. So, Dumore Sports was started and incorporated in 2014. DuMore Sports provides multisport event management and equipment rental services, and is the exclusive provider of TBLOCKS. Marcus always had this image in the back of his mind of Julie Moss and her iconic crawl across the finish line at a 1982 IRONMAN race. That image further cemented his understanding of the intensity of the race, so he started to do research and dig into the sport more. After learning more about the distances that IRONMAN races typically involved, he thought, "There's no way I'm doing that." But Marcus still wanted to get involved with multisport. So, he looked around his hometown of Baltimore Maryland and found the USAT Race Director course and signed up for it. Everyone thought he was joking when he showed up to his first class on Oct 31st, 2013 in a full suit. Clearly, he was the new kid, but that didn't stop him from sticking it out. 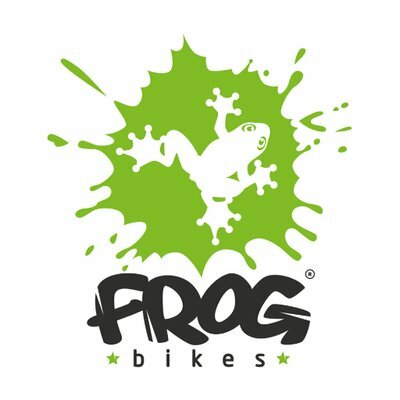 After sitting through the first few days of the course and seeing pictures of traditional bike racks with bikes just hanging there, he noted that while it was normal to most people in the class, there were conversations around what issues those racking systems caused RDs and racers at races. Like a good student Marcus took notes. After a few days, Marcus still couldn't get the problem with transition areas out of his head. As a newcomer to triathlon, Marcus couldn't understand why such an innovative sport had state-of-the-art bikes hanging precariously on flimsy metal poles. 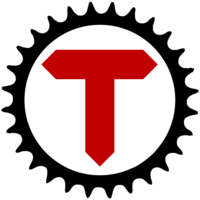 So, he committed himself to building a better transition rack; namely, one that provided each athlete with a defined space, was adjustable, held customizable nameplates, and was easy to set up, use, and break down. He went out and bought a CAD (computer-aided drafting) system and taught himself how to use it. He then developed the design for TBLOCKS and filed a patent application after receiving a favorable patentability opinion and developed wood prototypes that were tested at races. The process Marcus went through to develop TBLOCKS started out very basic, so basic actually, that he used paper clips and binder clips to try to model a system that would address all the issues that current pole racks had. The original purpose of pole racks was to have something collapsible that you could just load up and take to the next city, but they've left too much to be desired when it comes to created an efficient and easy to navigate transition area. Marcus liked the idea of a ground based rack that held the bike by the wheel, so he started using 2x4's to see if the bike would even be stable using this method. After making a wood model that worked, he spent 4-5 months designing a prototype in the CAD system that would be collapsible and adjustable for people with different width tires. 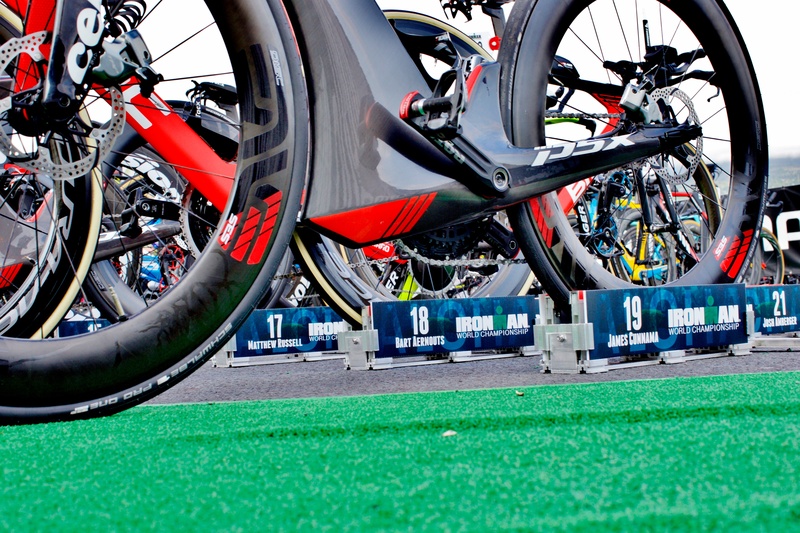 Since TBLOCKS have custom name plates for each racer, you'll know exactly where your bike is as soon as you come into transition and you don't have to worry about your bike being moved or shifted by other participants. Plus, there's now an extra space for sponsor placements and racers get another souvenir to take with them. After successfully testing prototypes, Marcus sold his house and used the proceeds to buy the tools and materials necessary to begin handcrafting TBLOCKS in his workshop, affectionately known as “Rack City”. Currently, some of the races using TBLOCKS include Islandman in New Jersey, Kona (but only in the transition area for the pros), Emily Hatch from Charlottesville Multisport, and the Escape Series. That's it for this episode wrapper of The Triathlon BizCast. 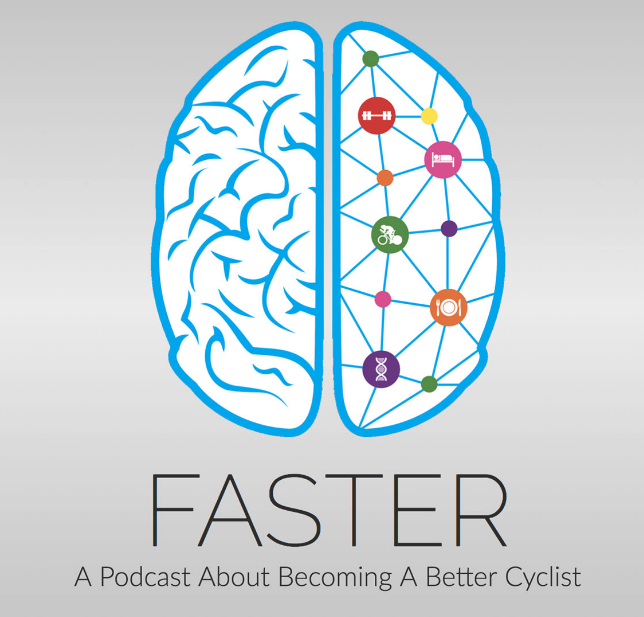 Make sure to listen to Marcus' episode to learn even more about how TBLOCKS are taking over the transition areas at triathlons.